Visit the convocation website for live and archived convocation webcasts. Dal alumna Kathryn Sullivan (PhD’78), former NASA astronaut, was joined by test pilot and Canadian Space Agency astronaut Joshua Kutryk and Canadian astrophysicist Christian Marois on the team representing space. Mark Abbott, president and director of the Woods Hole Oceanographic Institution, German marine biologist Antje Boetius and Dal’s own Boris Worm joined forces on the ocean side. Well-known author, speaker and TV science broadcaster Jay Ingram of Daily Planet fame served as emcee. Watch the video below. On October 25, our final Belong Forum featured a conversation with disability activist and former Paralympian, Rick Hansen. Best known as the “Man in Motion,” Rick has dedicated his life to changing attitudes and removing barriers for people with disabilities. Watch the video below. The Belong Forum with legendary U.S. civil rights leader Angela Davis took place on Thursday, October 16. The event marked the launch of the Viola Desmond Legacy Lecture Series—a four-year series celebrating diversity and inclusiveness. The Downie Wenjack Fund Legacy Spaces are spaces dedicated to providing accurate information regarding Indigenous history and our journey of reconciliation. They are meant to be safe and welcoming spaces where conversations about the past, present and future are facilitated and encouraged. They also serve as symbols and reminders for employees, clients, students and guests of the important work that still needs to be done to move towards reconciliation. The Belong Forum with Temple Grandin took place on September 27, 2018. Dr. Temple Grandin, almost certainly both the world’s most famous animal scientist and the world’s most recognized person with autism, spoke about the importance of recognizing different learning styles and the incredible results that come from collaborating with diverse minds. Dal's IDEA Project was unveiled on October 10, 2018. New construction includes the Emera IDEA Building and the Design Building, made possible through partnership with donors, industry, students and the Government of Canada. These critical updates to teaching and learning spaces will inspire the next generation of students and researchers to make a lasting impact on our region and our world. The Belong Forum with Senator Murray Sinclair took place on September 5, 2018. Senator Murray Sinclair, the first Aboriginal Judge appointed in Manitoba and former chairman of the Truth and Reconciliation Commission, spoke about his experiences and what we can do to become more welcoming to Indigenous people as individuals and as country. The Belong Forum with Mark Tewksbury took place on May 17, 2018. Olympic gold-medalist Mark Tewksbury visited for one of several Belong Forums in 2018. A recognized leader of social change, Mark was one of the first openly gay Olympic champions. He discussed the challenges he’s faced and how acceptance and inclusion can unlock incredible potential. The Belong Forum with Craig Steven Wilder took place on March 28, 2018. Award-winning MIT historian Craig Steven Wilder visited Dal to speak about the research that went into his 2013 book, Ebony and Ivy, which explores the role of race and slavery in the development of several Ivy League universities in the United States. The Bicentennial Launch, which took place on February 6, 2018, was the first big signature event of Dal’s anniversary year. The event reflected on Dal’s journey over the past 200 years and looked ahead towards its third century. Dal alumnus George Elliott Clarke, Canada’s most recent Parliamentary Poet Laureate, performed excerpts from his new poem alonside current Dal students and alumni of the Fountain School of Performing Arts, Mi’kmaq drumming group Eastern Eagle, spoken word poet shalan joudry, African Nova Scotian drumming group Drummers from Home and other special guest appearances. A retired eight-time serial entrepreneur-turned-educator and author, Steve Blank has changed how startups are built and how entrepreneurship is taught around the globe. He was on campus May 30, 2017 for a public "fireside chat." He is author of the bestsellingThe Startup Owner’s Manual, and his earlier seminal work, The Four Steps to the Epiphany, credited with launching the Lean Startup movement. His May 2013 Harvard Business Review article on the Lean Startup defined the movement. His Excellency the Right Honourable David Johnston, the Governor General of Canada and Mr. Tom Jenkins, the former CEO of OpenText and current CEO of the National Research Council of Canada were on campus May 13, 2017 for a public "fireside chat" about their new book Ingenious: How Canadian Innovators Made the World Smarter, Smaller, Kinder, Safer, Healthier, Wealthier, and Happier. 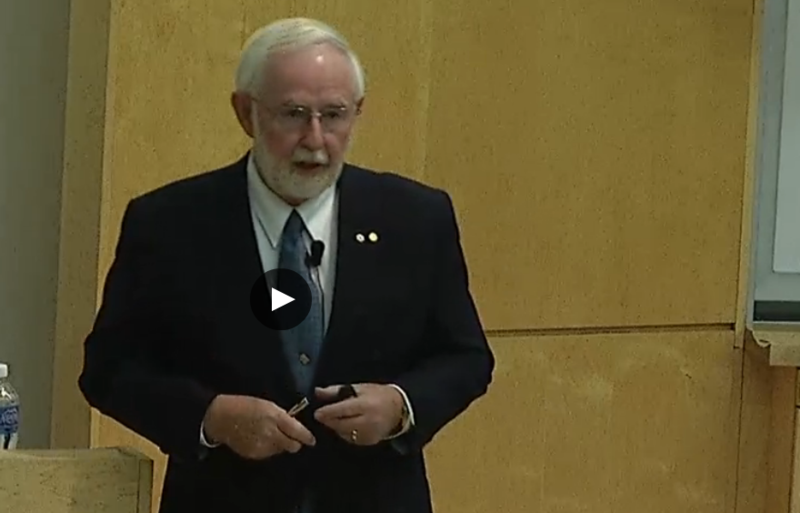 Dr. Axel D. Becke, Canada Council Killam Prize Winner in Natural Sciences 2016 & Professor Emeritus, Dalhousie University gave a lecture on November 22nd, 2016 that explained the fundamentals of quantum theory in simple terms, drawing heavily on musical analogies. Dr. Arthur McDonald was co-recipient of the 2015 Nobel Prize in Physics, together with Takaaki Kajita of the University of Tokyo. Dr. McDonald, a Dalhousie alumnus twice over, returned to his alma mater and home province on March 14th, 2016 to share his ground breaking work in a public lecture for the Halifax community. Dalhousie University is proud to raise the Mi’kmaq Grand Council Flag on the university’s Studley Campus. 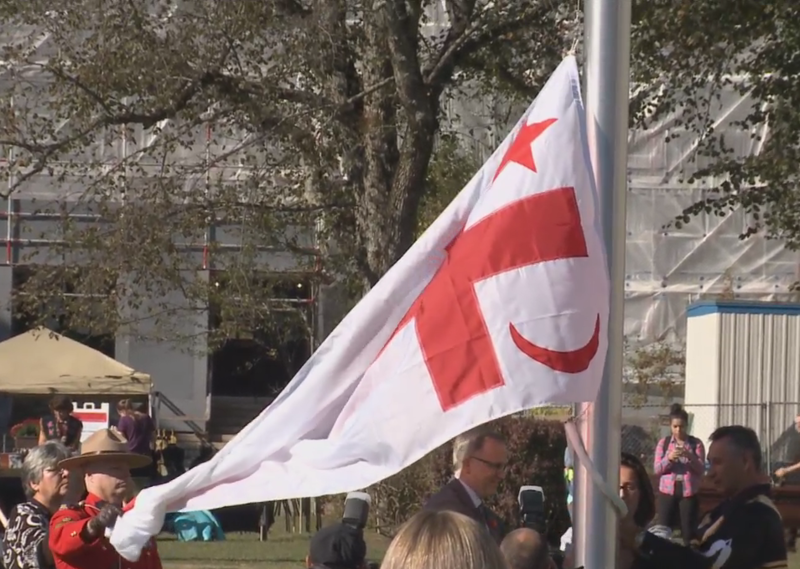 The permanent installation of the Mi’kmaq Grand Council Flag at Dalhousie on October 6, 2016 strengthens the university community and helps provide a welcoming campus for all learners. The Honourable Scott Brison, President of the Treasury Board, was on campus September 6th, 2016 to share the news that the federal government would be committing $93.7 million through its Canada First Research Excellence Fund (CFREF) to support the Ocean Frontier Institute.